Threaded in between Sheppard’s strong new pieces is an extended and compelling meditation upon a Gaelic traditional song, “Aoidh, Na Dean Cadal Idir” (Aiodh, Don’t Sleep At All). It’s a piece associated in recent years with Hebridean folk singer Julie Fowlis, from whom Sheppard learned it. 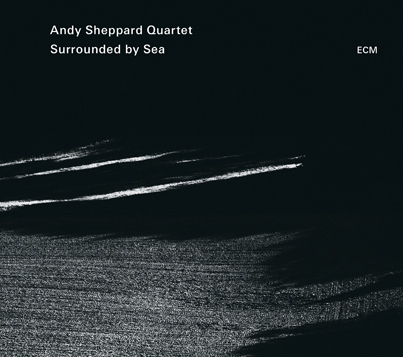 Throughout the album Sheppard plays some of his most lyrical saxophone, both on his own pieces and on the tunes contributed by Michel Benita and Seb Rochford. The rapport between bassist and drummer, demonstrated on Trio Libero, is evident throughout Surrounded by Sea. Andy Sheppard and Michel Benita have been crossing paths since the 1980s. In 2008 Sheppard, Benita and Sebastian Rochford came together in a project at the Coutances Jazz Festival in northern France. It was here that Sheppard first glimpsed the potential of this particular musical combination. Seb Rochford, whose interest in jazz was first sparked by witnessing an Andy Sheppard concert in Aberdeen, has meanwhile made his own distinctive contributions to it, with his bands including Polar Bear. Rochford’s resumé has embraced work with everyone from Babyshambles to Herbie Hancock, from Brian Eno to Patti Smith. He has said in interviews that the recording of Trio Libero opened up his perceptions about choosing when not to play: this awareness of the musical and dynamic power of restraint also belongs to Surrounded by Sea. Each quartet member is also a bandleader in his own right, and Michel Benita, French bassist born in Algiers, will shortly be recording with his Ethics quintet (with Eivind Aarset, Mathieu Michel, and Philippe Garcia, and Mieko Miyazaki on koto) for ECM. Benita has played with numerous jazz musicians including Dewey Redman, Archie Shepp, Lee Konitz, Kenny Wheeler, Joe Lovano, Steve Kuhn, Michel Portal and many more. Eivind Aarset’s ECM album Dream Logic was released in 2012. 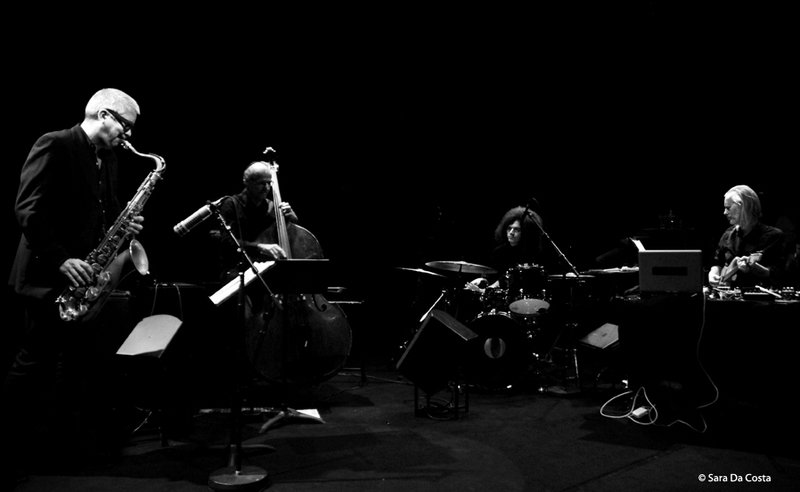 Aarset recently recorded again for ECM in an improvising quartet with Tigran Hamasyan, Arve Henriksen and Jan Bang. 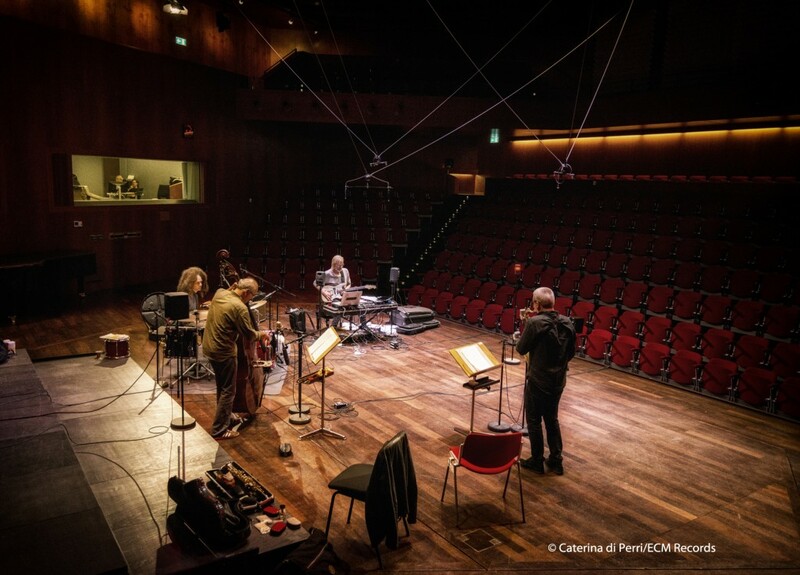 Other ECM appearances include Nils Petter Molvӕr’s influential Khmer and Solid Ether, Small Labyrinths with Marilyn Mazur’s Future Song, Arild Andersen’s Electra, John Hassell’s Last Night The Moon Came…, Ketil Bjørnstad’s La Notte, and Food’s Mercurial Balm. 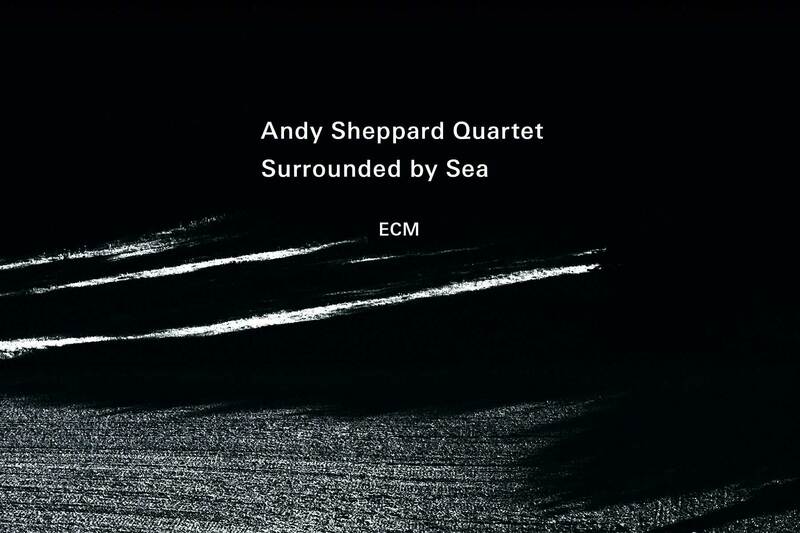 The Andy Sheppard Quartet plays at the ECM label night at the Jazzahead fair in Bremen on April 25, and follows with concerts, club gigs and festival appearances in Hungary, Belgium, Germany, France and the United Kingdom. For more information about upcoming concerts click here.